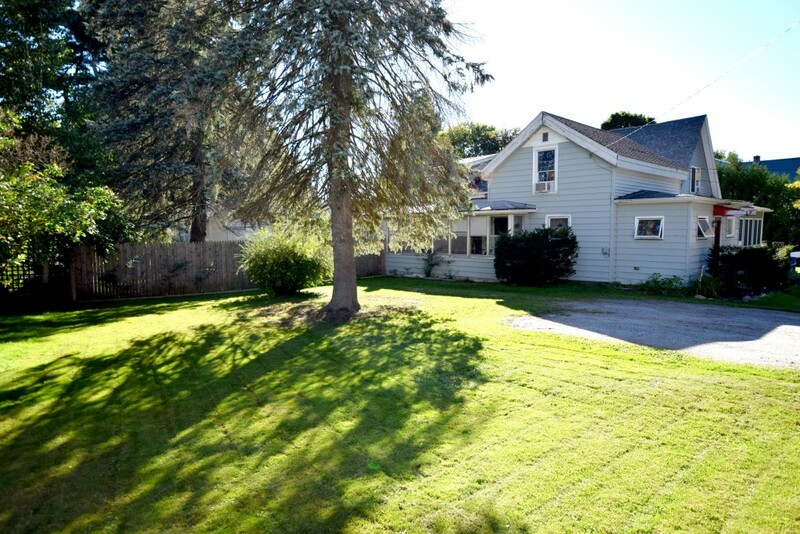 This charming 4 bedroom farmhouse has just the right amount of space for everyone! Large and sunny eat-in kitchen with gas range, laundry, and access to your enclosed 3 season porch! Cozy up out there with a good book and enjoy the fall air or put up a patio set for evening dining. Inside, the formal dining room with built-in shelves creates a perfect entertaining space and leads out to the open living room space. Full bath and fully enclosed front porch round out this level. Travel upstairs and you’ll find 4 unique bedrooms each with its own set up and style. Outside features a fully fenced in backyard with shady trees and nice landscaping. You’ll also find a dog fence perfect to create a space for your best friend. Centrally located right in downtown Richmond on a dead end street just minutes from Bridge St, the library, the park and all the amenities! Just 5 minutes to I-89, this one is a must see! Directions: Follow Route 2 to Richmond, left on baker street, left on Tilden Ave, home is on the left, see sign.